Mary Bricco began her Federation career with the Federation of Women Teachers’ Association of Ontario (FWTAO) as a part-time summer student throughout high school and university, eventually beginning her full-time career in September 1984. She held many positions of added responsibility throughout her careers at FWTAO and ETFO. Along with her permanent Long Term Disability (LTD) and Workplace Safety and Insurance Board (WISB) assignment, Mary was the staff member attached to the Sexual Orientation Women’s Focus Group with FWTAO, which then became an ETFO Task Force for LGBTQ members and eventually the Standing Committee for LGBTQ members in ETFO. Both the focus group and the task force were new bold steps for FWTAO and then ETFO, not to mention personally challenging from her recollection. She is very proud to have had a hand in those very first critical steps of establishing a firm and rightful place within ETFO for LGBTQ members. Mary was also responsible for administering the ETFO Take Back the Night program for over 10 years and strived to empower women members through marches and rallies in locals throughout the province. However, she feels that her permanent assignment of assisting some of ETFO’s most vulnerable members with LTD and WSIB issues was perhaps the most rewarding work. Mary believed that LTD/WSIB work regularly involved working with colleagues in other service areas, which gave her a greater working knowledge of the intricate connections between LTD, WSIB and such areas as Professional Relations, Collective Bargaining and Pensions. One aspect of the job she particularly valued was doing PRS workshops – sharing her knowledge with local leaders and hearing their stories. Mary will be ever grateful to the women who mentored her throughout her career and who encouraged and supported her in her professional growth. As for her retirement plans, it is true what they say about retirement. She reports: “I’ve never been busier!” Currently, Mary is a volunteer and advocate for the Collie Rescue Network, which is a national all-volunteer rescue group dedicated to the rescue, rehabilitation and rehoming of Rough and Smooth Collies across Canada. As was the case throughout her career, Mary continues to assist and care for those in need. 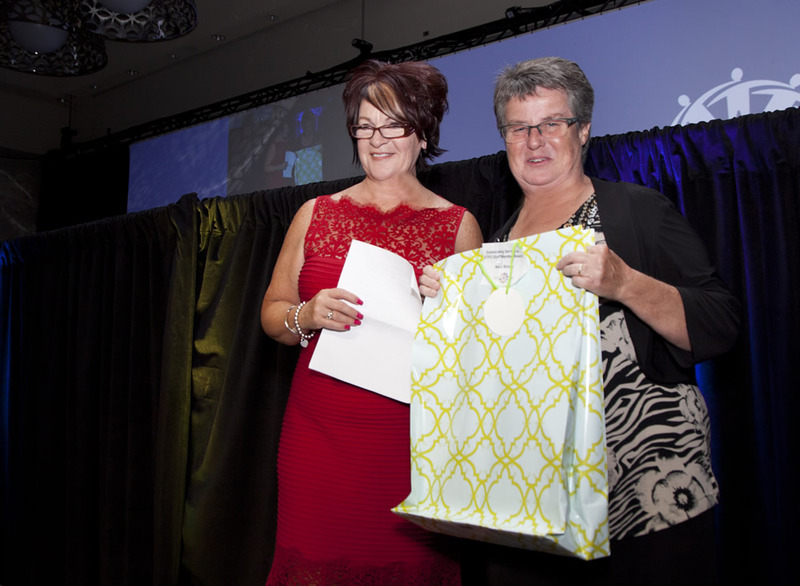 She feels that it is truly an honour for ETFO to recognize her work.